Its pouring heavily outside and all that your heart desires is a hot mug of coffee and some spicy and hot snack. Hmmmm Yummyyyyyyyyyy Isn’t it? Well that the best part of the monsoons. 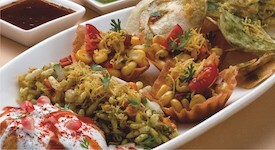 And what more, if you are here in India every state has its own monsoon delicacies to suit your taste buds. Hot hot pakoras, spicy chaat, hot soup, chips, kadak chai, masala chai and the list goes on and on. But is it good to stuff your belly with this of food all through the monsoon? Well definitely not. So here are some “must have” and “must avoid” kind of food during the monsoon. Read further to catch a glimpse of it and enjoy your monsoon. 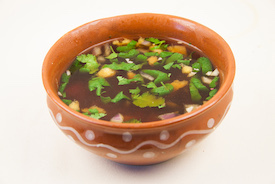 Hot soup: A bowl of hot soup with a dash of minced garlic is a must have during the monsoons. It not just helps to keep away from cold and flu but also helps your body from feeling tired and worn out. 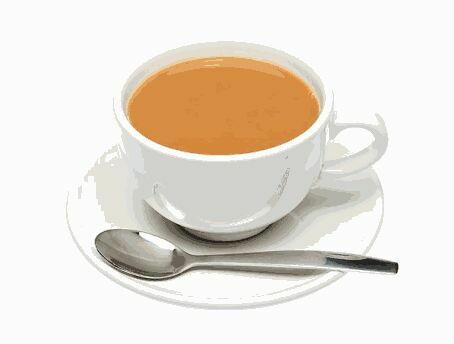 Kadak chai or masala chai: From a Indians point of view nothing can beat a hot cup of kadak chai or masala chai. It acts as a perfect beverage during the monsoon season. The cardamom and cinnamon used in preparing masala tea also helps in keeping away from throat infections and cold. Pakoras: Mouth watering pakoras are yet another dish that is a must have during the rainy season. A cup of hot tea and a plate of pakoras are an unbeatable combination during the rainy season. And also as it is a fried food do not over indulge in it, once in awhile is a good option. Corn :Corn ka Butta is our life savior this rainy season and most loved food for rainy season. Eat it at home with family or at a stall with friends, the hotness of butta with the taste o salt and lemon will make your day complete. You can have it either boiled or roasted. Homemade Chats:The home-made spicy chaats would never allow us to leave our house. From home-made Paani puri to Chola tikki to Bhelpuri, this treat is actually the best chaat treat to us. Try not to have sea foods like fish, prawns, crabs etc until and unless they are fresh. Stay away from outside food. Try including a lot of veggies in your diet.